A music writer unable to deal with the death of his wife unearths a lost album by a long defunct band and obsessively works to bring the album to release. A saxophone player tries to achieve the creative heights of his mentor in the face of his own mediocrity as he struggles to commit to the darkness of his own artistic vision. An aging hip hop star travels through time and reads about himself on Wikipedia. While these stories, and more, in Liner Notes are threaded together by their interest in music, this darkly funny collection of stories is about men and women who are confronted by their limitations as they grapple with obsession, mortality, memory, grief, and the creative process. 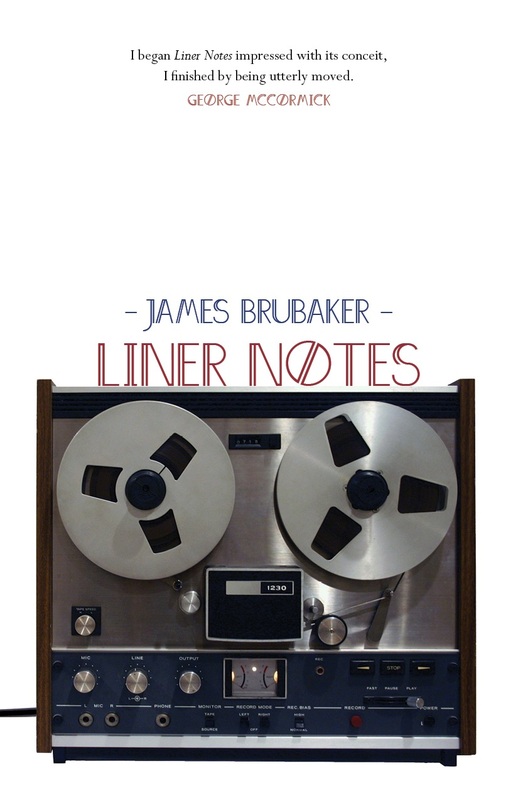 In Liner Notes, James Brubaker has assembled a two-sided collection of stories that feature both fact and fiction. These music-inspired narratives remind us that ‘songs are time’ and when we lay the tracks of our past down on thirty-nine seconds or three minutes of a melody, the result is both a remembering and an imagining. Here is a stunning debut by a writer who understands the longing we all share and the songs that bring every last good thing back. — Jill Talbot (Author of Loaded: Women and Addiction and editor of Metawritings and The Art of Friction).